Give a rich look to your home by placing this "One of a kind" handknotted wool area rug. This is a large size wool carpet and ideal for the livingroom and bedroom as well if you want to cover the entire space with this cosy carpet. This carpet is beautifully hand-knotted in pure New Zealand wool and Cotton material. 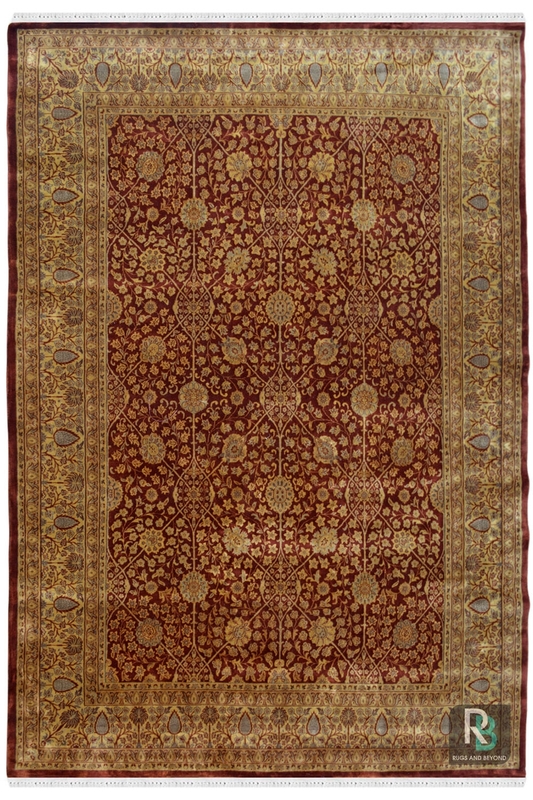 It has a great floral pattern which is woven in all over Kashan design. Kashan design is a very traditional design which has been originated in the 17th century. This pattern is inspired by the nature of Peria and weavers have woven it on a carpet. So give a classy look to your space by placing this cozy woolen carpet and change your lifestyle.